Wiltshire-based Malaby Biogas operates one of the few independent anaerobic digestion (AD) plants in the UK, specialising in the diversion of food waste from landfill. Its Bore Hill Farm Biodigester provides a combined waste disposal and energy generation solution in one safe, clean and highly-efficient process and the facility has gained a wide-ranging reputation for its innovation and efficient operation. It has been at the cutting edge of plant design and optimisation and Malaby Biogas continually works to make its impact on the local environment as benign as possible. The Bore Hill Farm Biodigester generates renewable energy, diverting from land fill and exporting power to the local grid. Another supplier was initially responsible for the monitoring of biogas, but following a system failure, Malaby Biogas urgently required another company to take over this integral part of its AD plant operation. It was crucial for them to find a proven solution to provide reliable biogas monitoring to ensure plant efficiency, staff safety and avoid further costly downtime. As they searched for a new supplier, Malaby Biogas sought recommendations from across the industry, and all endorsements suggested the global leader in the design and manufacture of gas analysis technology, Geotech. Confident they were using a tried and tested solution, Malaby chose Geotech’s fixed GA3000 PLUS* and portable BIOGAS 5000 gas analysis solutions. 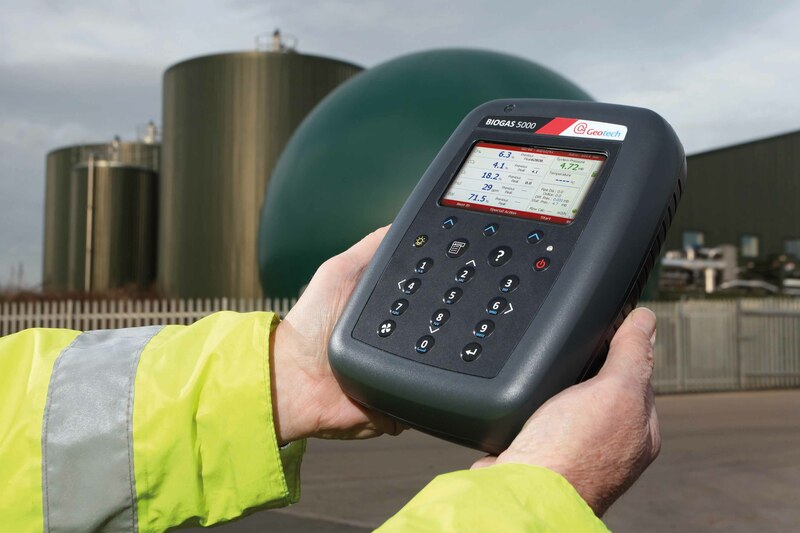 Accredited to the highest of internationally recognised standards, the ATEX certified GA3000 PLUS* builds on field-proven, robust gas analysis technology, providing Malaby Biogas with cost effective online monitoring and local data outputs. The modular design enables users to hot-swap for serviceability and onsite maintenance, especially appealing to Malaby Biogas having experienced costly downtime in the past. Renowned globally for its reliability and longevity, the GA3000 PLUS* maximises operational efficiency through its optimisation of the AD process. The compact, self-contained system, with IP65 rated stainless steel enclosure, means the product can function in any weather condition. With external sensor options measuring a choice of three gases, CO, H2 and H2S, Malaby Biogas uses the unit to monitor all three readings, 24/7. For Bore Hill Farm, the BIOGAS 5000 unit is the perfect portable solution for measuring CH4, CO2 and O2 plus extras, including H2 and H2S gases. Easy to use, calibrate and configure, it enables Malaby Biogas to collect consistent data for improved analysis and accurate reporting, whilst helping to check the digester process runs efficiently. The easy to view reading screen displays key information concisely and clearly for essential readings and comparisons, while the technical assistance button provides explanations, help and support throughout the monitoring process to enable staff to work independently and proficiently. The keypad and casing are both IP65 rated, water resistant and tested in the harshest of sites, and have withstood the most adverse weather conditions at the Bore Hill Farm Biodigester. The partnership between Malaby Biogas and Geotech has stood the test of time. Knowing Geotech’s products are made to the highest specification, adhering to a wide range of international and industry standards, continues to give Malaby Biogas complete peace of mind. With the GA3000 PLUS* and BIOGAS 5000, Malaby Biogas can closely monitor its plant’s performance by reviewing reliable, real time gas readings and adapting any processes necessary at short notice to reflect any gas quality issues. The ongoing confidence with the gas readings supports Malaby Biogas’s ability to adapt and improve.